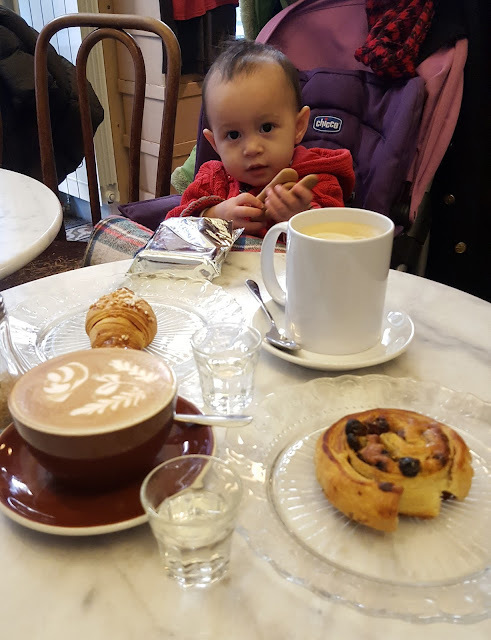 Turin is definitely renown for its many royal coffee shops, all more or less centrally located and the total lack of international coffee shop chains. 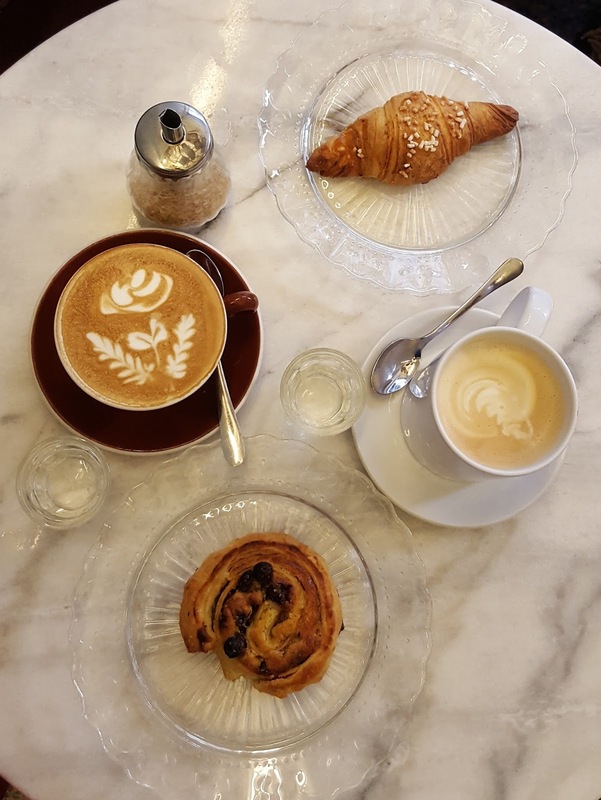 This translates into a city with only indie coffee shops... yet in terms of coffee blends and brewing methods, you will find virtually only Italian style coffees: espresso, cappuccino, latte, marocchino and bicerin, caffé ristretto and corretto or lungo. 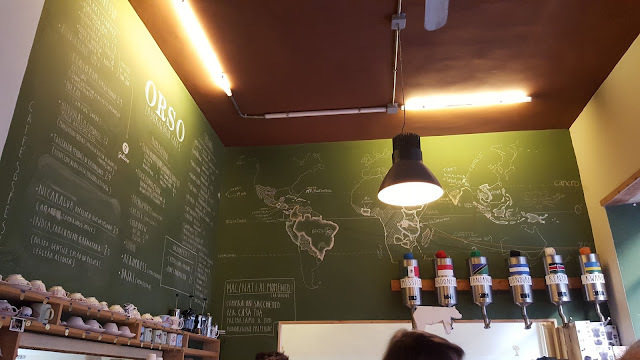 Orso Laboratorio Caffé is the exception to the Turin coffee rule: here your can pick up the country of origin of your beans and the way you want your coffee made. 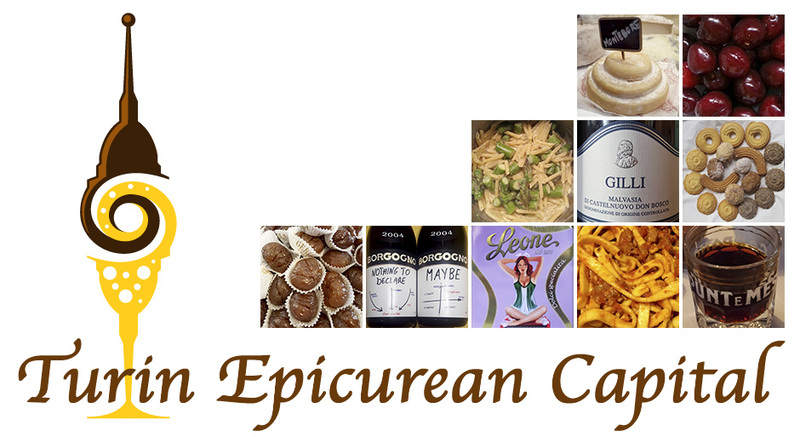 And then, you can follow your mind around the world through your palate. The barista was totally absorbed by his barista role, busy making espressos for all the Italians who popped in for their quick pausa caffé. A lady was sitting at the window table, reading the newspaper, with her very well-behaved dog looking outside, knowing the coffee rite would last for another 15 minutes. The barista came to rescue and picked the beans among their great selection: Indonesia, Ethiopia, Honduras, Nicaragua, Mexico, Nepal and Tanzania. 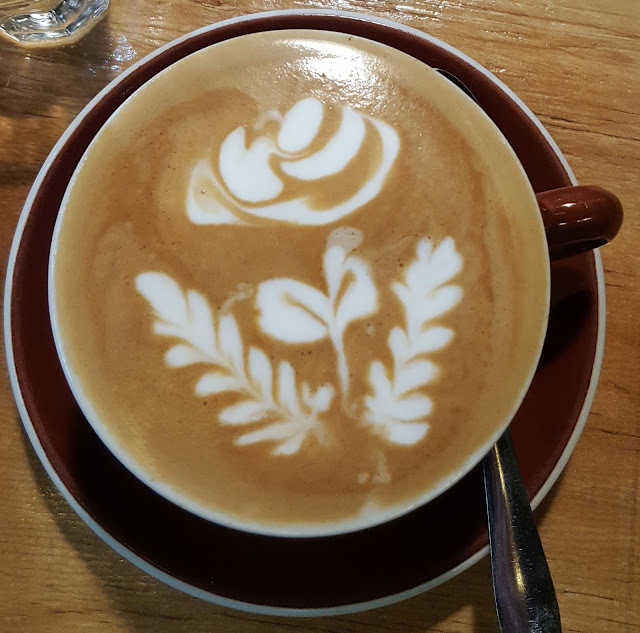 As for the brewing methods, besides the espressos, cappuccino, marocchino, bicerin and latte, you can also have a real American/German coffee made with paper filter, a coffee made with the aereopress, French press aussi and syphon. 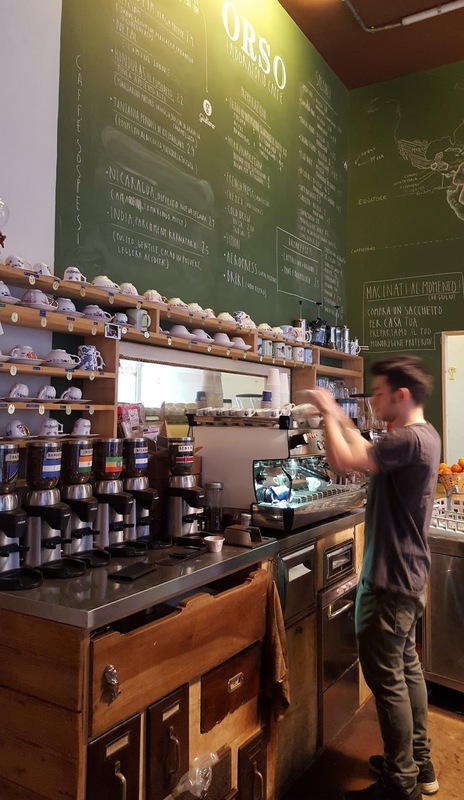 In all of Turin, this is really a one of a kind coffee shop for variety of coffee roasts, brewing methods and almost certainly, for their English speaking barista! At Orso you can also buy their coffee and you can get their gadgets too. However, what you won't be able to take away with you is the feeling of being in a different dimension, even though you are not at home, each cup has a number, with a meaning (for your coffee reading session, if you are into this divinatory art) and a pattern, because they are the Orso Caffé special set, like in a regular house. 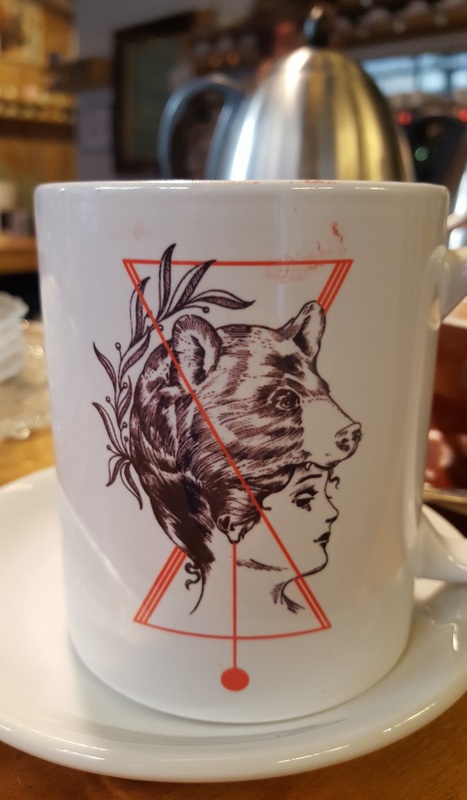 You can even buy your own coffee cup and leave it there for whenever you'll go there or pay for caffé sospeso - paying coffee forward for a stranger who will do the same for somebody who can't afford it. Sipping our very Turinese mid-morning coffee with pastries and chatting our morning away with Joyce, we totally forgot about our phones. Yeah, Turin does this to you: here the time dimension shifts and, as you earn an extra morning coffee, you give away your daily worries. Come over and see for yourselves what our vidaroyal is like. Once you'll try it, you'll crave for it!